Divoti Handmade Byzantine Medical Alert Replacements Bracelet for Women features an intricate chainmaille pattern. This bracelet is sure to make your current medical id tag look more fashionable. It can match all Divoti interchangeable medical ID tags. This medical alert replacement bracelet works almost works with all medical ID tags. YOUR REQUIRED TOTAL LENGTH WILL BE YOUR TAG LENGTH + THIS CHAIN BRACELET LENGTH AND + 1 INCH. 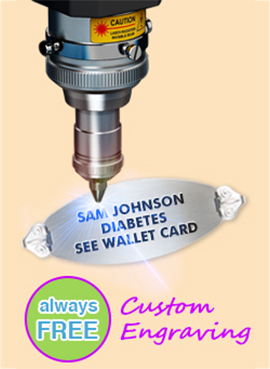 Please also offer a large selections of custom engraved medical ID tags. We offer free custom engraving and combo deals on our complete custom engraved medical alert bracelets. Please check them out on Amazon. MEDICAL ALERT REPLACMENT BRACELET SIZE: This chain bracelet is measured from end to end in total length. Please measure the right size you need. 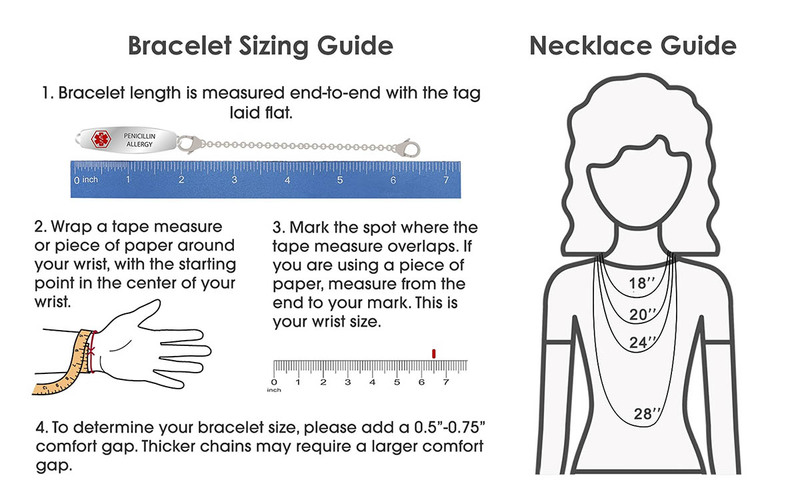 TOTAL BRACELET SIZE: the sum of length from interchangeable medical ID tag + interchangeable chain + 1" comfort gap. MEDICAL ALERT REPLACMENT BRACELET MATERIAL: High quality hypoallergenic surgical stainless steel. Excellent corrosion resistance and durability.